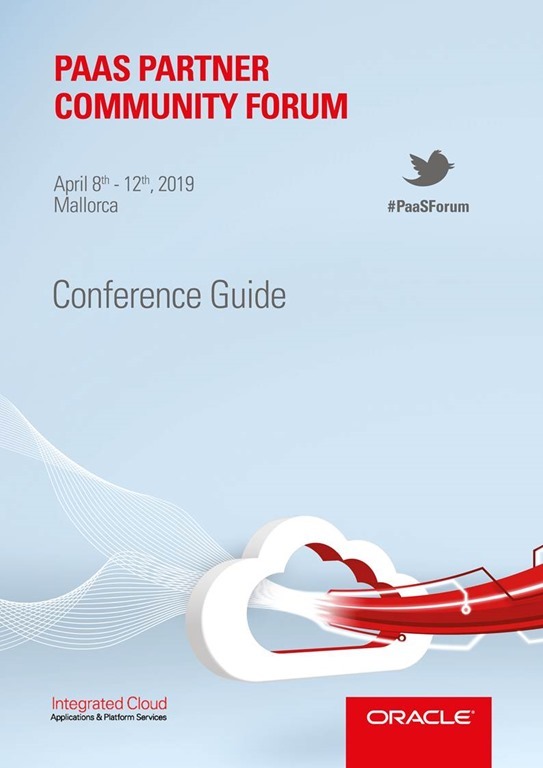 When you read this you arrived in Majorca and we would like to thank you and your management for investing the time to attend the PaaS Partner Community Forum 2019. There will be more than 200 delegates from more than 45 countries, which will give you the opportunity to learn from other cloud minded partners and network with partners from Europe and different regions as we also have representation from Africa, Asia, North America, South America and the Middle-East. Many Oracle employees will attend and we would like to invite you to challenge them how we can support you to grow your business and maintain profitability on your investment with Oracle. Focus of the PaaS Partner Community Forum 2019 will be the Oracle Cloud Platform to transform the business, of our joint customer base, with innovation. Key accomplishment, driven by you as a partner and resulting in cloud utilization, are successful cloud projects. Successful customers grow their Oracle cloud footprint and purchase additional consulting services. With the Oracle Cloud Platform you can proof innovation, in a rapid prototype. The cloud test drive material, is available via Github, is a blueprint for your workshops. 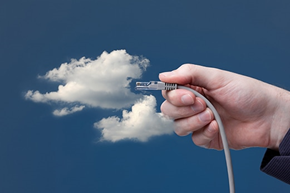 Access to the latest cloud services is an essential part of the sales cycle. Trained and certified partners are the road to success. Each conference attendee was granted access to free PaaS demo service before, during and after the conferences. As an Oracle partner you can request free PaaS demo services via demo.oracle.com or our partner communities any time – make use of it! Oracle PaaS creates many new opportunities for partners to build, customize and integrate applications in a public cloud environment. Our joint customers will benefit from this new cloud offering by faster time to market, higher availability and flexibility, lower project cost and risks. Universal cloud credits (UCCs) empower partners to deploy customer projects agile. Hybrid cloud computing offers like Helidon and Project FN are a unique value proposition for customer and partners. You can choose where to host and manage your cloud solution in the data center of your choice. Cloud marketplace gives you as a partner new opportunities to build, deploy and promote and market offerings on the Oracle PaaS Cloud. The Oracle Cloud Excellence Implementer (CIE) and Oracle Cloud Managed Service Provider (MSP) programs reflect the focus on cloud computing. To innovate, extend and integrate SaaS initiative is designed for Oracle applications partners. The underlying PaaS platform enables customers to enrich and differentiate SaaS solutions. Connect SaaS solutions with other SaaS solutions and on-premises, analyze data, secure and extend applications. As part of the conference we introduced a SaaS track on Monday, multiple session and a two days hands-on training are offered specifically for SaaS partners to enrich SaaS solutions with PaaS. During this event you will see presentations from Product Management, Pre-Sales Consultants and Partners, that will share their real life experiences with you how to implement Oracle PaaS solutions and to see the business drivers behind these projects. The conference starts on Monday with the community day to present success stories and best practice. This year we offer additional sessions for SaaS partners and around the Oracle Partner Network. We are excited to welcome again Andrew Sutherland and Ed Zou at the conference, who will highlight in their keynote the Oracle Cloud Platform including live demos. PaaS is the platform you can build new digital solutions to drive customer innovation. Thanks to our product management team you will get updates and roadmap details including demos for our Integration, Digital Assistant, Microservices, Machine learning and Content & Experience cloud services. Congratulations to the annual winners of the PaaS Partner Community Awards. You will have the opportunity to learn direct from them, why they have won the awards. On Tuesday evening during our social event you will have plenty of chance for deep discussion within the community and speakers. On Wednesday you can choose between four breakout tracks: Enterprise Process & Integration or Development tools & DevOps or Application Development or an Innovation track. For SaaS partners we offer a virtual Innovate, Extend and Integrate SaaS tack. We will keep our tradition to wrap up the conference with the legendary ACE demo – special thanks to Lucas Jellema and team! Thursday and Friday four different hands-on trainings take place. A two days integrate, innovate and Extend SaaS workshop. A two days Hackathon to build a rapid prototype. Or 12 different half day labs, you can build your own agenda by choosing each session. During the conference we host run multiple information points. Please take the opportunity to talk to the product management teams and business development teams. Two partners will exhibit their solutions. APIMatic API tools for API developers and Flexagon a devops tool. The Oracle User Experience team invites you participate in usability tests. We also want to give a special thank you to our Specialized partners that have been able to differentiate themselves in their local markets by showing their experience and commitment in Oracle PaaS & Fusion Middleware solutions. To continue your road to success please ensure that you align with our local cloud sales teams and use our marketing services including the marketing campaigns kits. From previous conferences we received the feedback that networking is key, it is always a challenge to keep the balance between more exiting live demos and networking breaks. Take the opportunity to connect via twitter and Facebook. Many of the conference speakers arrive on Monday and are available for 1:1 meetings! It’s the first time that we hosted a PaaS Partner Community Forum in Majorca. Take the opportunity and spend some time at the beach. The conference, Oracle OpenWorld and the Summer Camps are part of the annual community highlights. It’s exciting to see the community to get together full of energy and to develop new ideas. Special thanks to my management for the trust and freedom to host this conference – thank you! Thank you for attending the conference and your Oracle PaaS & Middleware Partner business. In this post I will cover Orchestrations and the whole area of Monitoring. This post pre-supposes you are familiar with the basics of OIC, covered in the previous post. So what do Orchestrations offer me? More flexibility, when it comes to integration design. The API (Trigger) accepts in an Organization object. 1.1. If Yes – then return a message with the existing Organization ID. 1.2. If No – then create the Organization and return a message with the new Organization ID. Simple stuff – I will re-use the Service Cloud Connection from the previous post. Read the complete article here. Many folks have been asking me for introductory/basic OIC labs. Here is the first of a series. I begin with integration – OIC’s integration component has a few basic concepts. Connections: to the apps I want to integrate. We can connect to apps via app specific adapters, e.g. Fusion ERP adapter, SAP adapter, SFDC adapter. If OIC does not provide an app specific adapter then you can look at using one of the technical adapters e.g. SOAP, REST, FTP adapters etc. 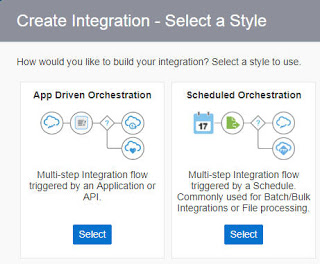 Integrations: The leveraging of those connections to implement an integration flow. A simple example – I need to keep the sales account object from Sales Cloud synced with the Organization object from Service Cloud. Both essentially refer to a customer albeit in pre-sales and post-sales mode. Ergo, I sell something to a customer via Sales Cloud, now I want to service that something via Service Cloud. An integration starts with a Trigger and usually end with an Invoke. In the above example, the Trigger could be a SOAP or REST request that has a Sales Cloud Sales Account object as its payload. The Invoke would then leverage the Service Cloud Adapter to Create an Organization in Service Cloud. Read the complete article here. 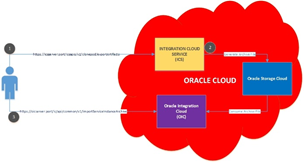 Oracle Integration Cloud (OIC) and Integration Cloud Service (ICS) are iPaaS offerings from Oracle. ICS was released back in 2015 has now been superseded by OIC. Customers on ICS can choose to be on ICS or migrate to OIC to take advantage of new features and services built into OIC. The comparison of ICS and OIC is out-of-scope of this blog post. This blog post describes migration steps from ICS to OIC. Customers who have a implemented ICS can make use of this blog post to migrate from ICS to OIC. Currently ICS has a feature to export one ICS integration flow/interface at a time from ICS UI. After a flow is exported from ICS, this flow can then be imported into OIC using import functionality on OIC UI. This should allow an integration flow to migrate from ICS to OIC. However, this approach is cumbersome when there are many flows in ICS that are to be migrated to OIC since every flow needs to be exported and imported one by one. Thankfully there is Clone Utility provided for bulk export of all the integrations, connections, packages, libraries and other artifacts from ICS to OIC. The Clone Utility is a bunch of REST APIs in ICS and OIC. ICS provides REST APIs to bulk export ICS artifacts and OIC provides REST APIs to import these exported artifacts. 1. Existing ICS service with Admin role access to the service. 2. Provisioned OIC service with Admin role access to the service. 3. The Clone Utility feature is NOT Generally Available(GA) yet. A feature flag has to be enabled on OIC to enable this feature. To turn on the feature flag, one should open a SR with Oracle support. The following picture provides the high-level steps involved. STEP 1: IDENTIFY STORAGE URL Read the complete article here. Keytool utility is a Key and Certificate Management Tool and is available in $JAVA_HOME/bin. Before we start, set JAVA_HOME and PATH variables. Use below two command to set JAVA_HOME and PATH variables. Read the complete article here. "Vibrant and growing all the time!" 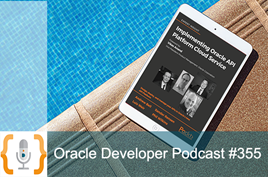 That’s how Andrew Bell, Oracle PaaS API Management Architect at Capgemini, describes the current state of API management. "APIs are the doors to organizations, the means by which organizations connect to one another, connect their processes to one another, and streamline those processes to meet customer needs. The API environment is growing rapidly as we speak," Bell says. "API management today is quite crucial," says Bell’s Capgemini colleague Sander Rensen, an Oracle PaaS lead and architect, "especially for clients who want to go on a journey of a digital transformation. For our clients, the ability to quickly find APIs and subscribe to them is a very crucial part of digital transformation. Listen to the podcast here & visit the books wiki here. Migrating core business applications to the cloud is the future for organizations of all sizes and across industries. However, knowing where you are going is not the same as knowing how best to get there. There is no cookie-cutter template for cloud migration. It is a highly-complex process that should not be embarked upon lightly. Yet, the truth is many (probably most) organizations rushed into the cloud pell-mell with ‘shadow IT’ initiatives, where line-of-business leaders provisioned point solutions from external cloud providers without support from IT. While the upside of this practice is speed, and in some cases ‘islands of efficiency,’ the downside includes potential security breaches, data-governance issues and runaway complexity with multiple cloud services (IaaS, PaaS, SaaS) spanning all delivery models (public, private, hybrid). Read the complete article here. Accelerate your path to digital transformation by eliminating barriers between business applications through a combination of machine learning, embedded best-practice guidance, prebuilt application integration, and process automation. Learn how global organizations are using Autonomous Integration to connect their SaaS applications. Watch the on.demand webcast here. 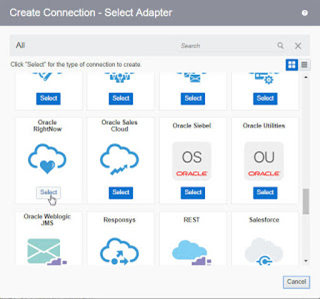 Oracle announced its next-generation Oracle Cloud Platform services featuring built-in autonomous capabilities, including Oracle Mobile Cloud Enterprise, Oracle Data Integration Platform Cloud, and Oracle API Platform Cloud Service. With embedded AI and machine learning, these services automate operational tasks to enable organizations to lower cost, reduce risk, accelerate innovation, and get predictive insights. Send your tweets @soacommunity #PaaSCommunity and follow us at http://twitter.com/soacommunity. Make sure you share your content with the community!